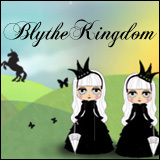 BlytheLife.com » Blythe On Your Budget? Budgeting can be a very personal thing. We’re taught early on that it’s rude to ask people about money or wages and to only discuss such things amongst close family members. 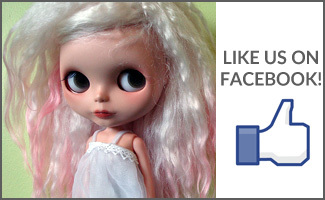 With Blythe, it’s kind of an open secret. Secret only to those not familiar with the costs of pocketed dresses, embroidered hats and that special custom doll by a certain designer. After all, we know how much a Goldie usually goes for, especially with uncut stock hair. We know that a NRFB Kenner goes for well over a thousand dollars. There’s no hiding how much we spend on dolls. If you’d just bought a Princess a la Mode, you’re not going to fool anyone in the dolly community into thinking that you got for her a low hundred dollars (even if you can get your non-Blythe friends and family to believe you!). When I don’t get a new doll, my spending for this dolly hobby of mine is typically $25 (Canadian) or less. During the school year, the most spending I do is usually just for fabrics and trims at the crafts store because even though I spend a lot of time looking at dolls and sundries – I hardly ever buy anything (sad, but true). I go through long dry spells of no dolly mail and then I’ll do a little bit of spending get a lot of mail and that’ll tide me over for a few months again. So… What’s your typical dolly budget look like when you’re not making extravagant purchases? Unless, of course, you do buy a Kenner every month, in which case that’s part of your regular budgeting! 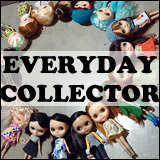 Lately I’ve been evaluating my possibilities as to how much am I willing to spend monthly on my dolls. And it’s a huge question if you bear in mind that I’m from Argentina, where USD 1 = AR$ 4 (give or take), and that most of ‘nice’ things to buy come either from the US or Asia (and I don’t even dare to think about Spanish handcrafts, with the Euro so out of reach for us Argentinians). So, right now, my monthly Blythe budget would be roughly USD 20, which would amount to AR$ 80 (it all depends on the exchange rate). On my last buy, I got 2 pairs of sneakers and one outfit complete with a little handbag for barely 20 bucks. I’d love to hear more opinions about this! I try to keep it under fifty, but it really depends on what crops up in sundries and on the bay. This month has been bad, between a Moshi Moshi dress (our first!) things to buy for a swap, and finally getting that Re-ment table and chairs for the kitchen! We’ll be good next month…haha….maybe…nahhhhh. 😉 Who are we kidding? The girls want some outdoor furniture and a bbq…not to mention we need to finish the office. Augh! Girls, you blew the budget ALREADY and it isn’t even August yet!